Halloween is one of the few times of the year where we deem it appropriate to eat more sweet treats than usual, and it's one of my favourite seasons of the year. 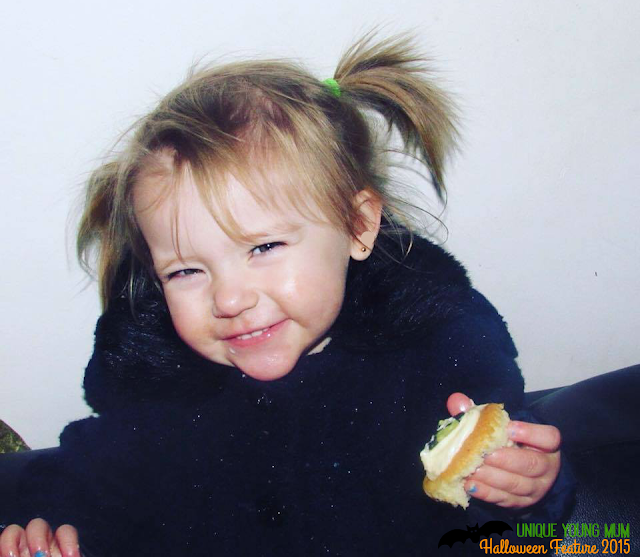 This year, Halloween falls on a Saturday, and with the children off school, there's plenty of Halloween related task we can get up to, but this post is highlighting a treat that adults and children love - cake! Cake Angels are a well known home baking company, selling a range of boxed cake sets, decorations, flavourings and candles with their products ranging from just pennies to a couple of pounds. With Halloween not far away at all, many of us are pulling out the decorations out of the attic and hunting the high street for a brand new costume, whilst some of us are thinking of the treats to serve to spooky trick or treaters, or even to our Halloween party guest! Pack one features skeleton skulls, witches, brains and zombies. 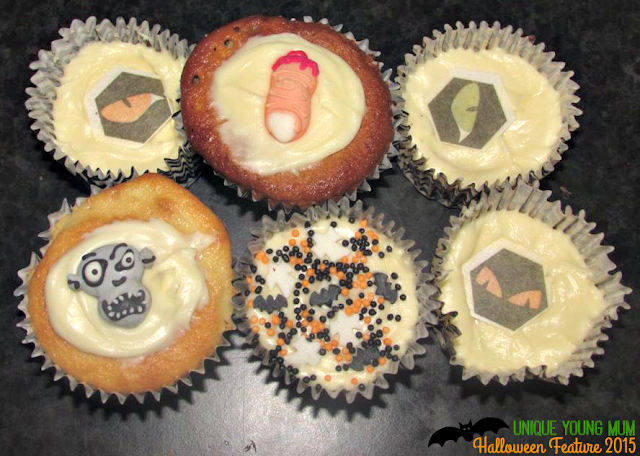 Second pack features pumpkins, eyeballs, fingers and frankensteins! Tub contains four different Halloween themed sprinkles! 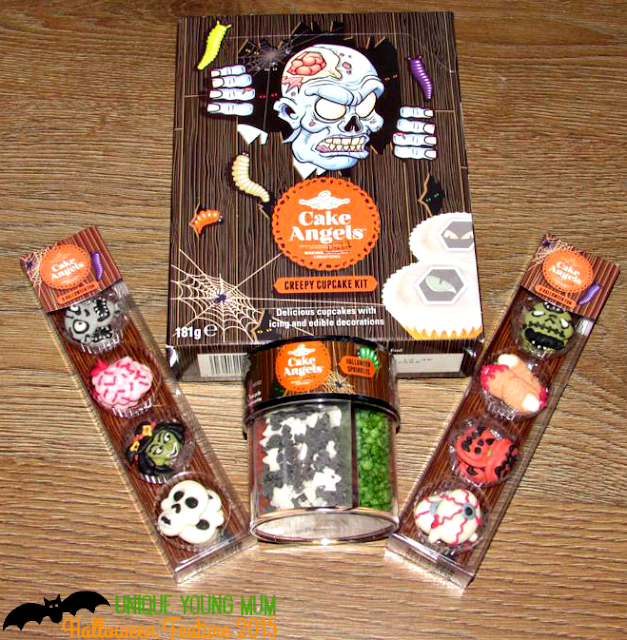 Cake Angels Creepy Cupcake Kit - £1.49 - Makes 10 Cupcakes. Cake mix to make 10 cakes. 10 eyeball rice paper decorations. We made a batch for our Halloween press bash, but I plan to buy another box when I do my weekly shop in the week for Spud to do on the actual 31st whilst he stays with Gareth for a few hours, as I'm attending a family wedding! If cakes aren't up your street, but you'd like to try out the decorations, you could always buy some biscuits, icing and Cake Angels decorations to decorate some biscuits!? A cheap but fun way to celebrate Halloween! To find out more about Cake Angels, and to view their full range, check out the website here.